Everyone knows Jews love to eat – and we love to eat Israeli food. 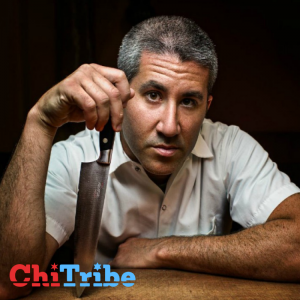 We are welcoming Michael Solomonov with open arms as he joins us in Chicago for an upcoming trip and feel lucky to have had the chance to interview him in advance of his trip. I was Born in G’nei Yehudah but grew up in Pittsburgh, Pennsylvania. We moved back to Israel when I was 15, but I came back to the states to finish high school and go to college. When we were in the states, we went to shul more than when we lived in Israel. Israel is as much a part of my family as Judaism was growing up. I am a Chef and restaurant owner with my business partner Steven Cook. Our restaurants include Zahav, Abe Fisher, Dizengoff, Percy Street Barbecue, and Federal Donuts. How did you discover you wanted to be a Chef? I ended up moving back to Israel and getting a job working at a bakery in Kfar Saba. Actually, it was not because I was specifically interested in being a chef. I was surrounded by very good cooks all of my life. I grew up with my Bulgarian grandma who used to make delicious barekas. Tell us a little about your journey to culinary school? After a few semesters at the University of Vermont, I moved back to Israel. In many ways, I really just walked up and down the street asking if anyone needed help cooking. And I got a job! I got a job there at a local bakery and eventually decided to pursue culinary school. I also worked as a short order cook at the Coffee Tree in Kfar Saba. After getting involved with the culinary arts in Israel, I decided I wanted to go to culinary school. I moved back to the states and studied in West Palm Beach, Florida. I worked in the restaurant scene in Florida, and thought about my next move. I ended up in Philly because it was on the way to New York from Florida. I stopped here and fell in love. 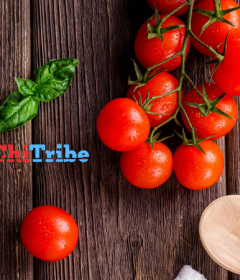 Do you consider yourself a Jewish chef or an Israeli chef? Being Israeli and Jewish are definitely a part of who I am. 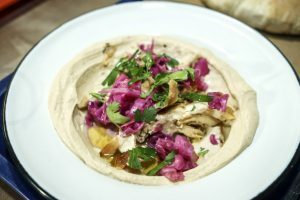 I am a chef that cooks mostly Israeli food. At home, I love cooking Italian food for my kids. First off, I love Chicago. Chicago is my probably my favorite restaurant city in the country. Tony Mantuano is one of my heroes. He is such an incredibly talented chef. Also, I love all of the Rick Bayless restaurants. 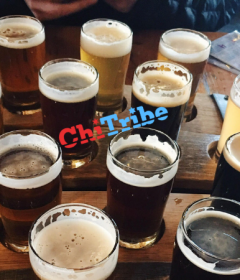 It is not just the food in Chicago. The service and company are just so good. What is your absolute favorite Jewish dish to cook? Yeminitie food is my favorite and totally underrated. I love Jachnun* and Kubana** and my kids like it too. *Jachnun is a Yemenite Jewish pastry traditionally served on Shabbat morning. It is prepared from a dough rolled out very thinly, and rolled up into a dough stick. 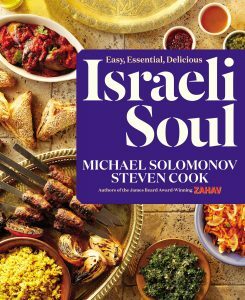 Tell us more about your new cookbook “Israeli Soul”. Through the art of cooking, we are able to focus on commonality and traditions that are bridges beyond any sort of border. 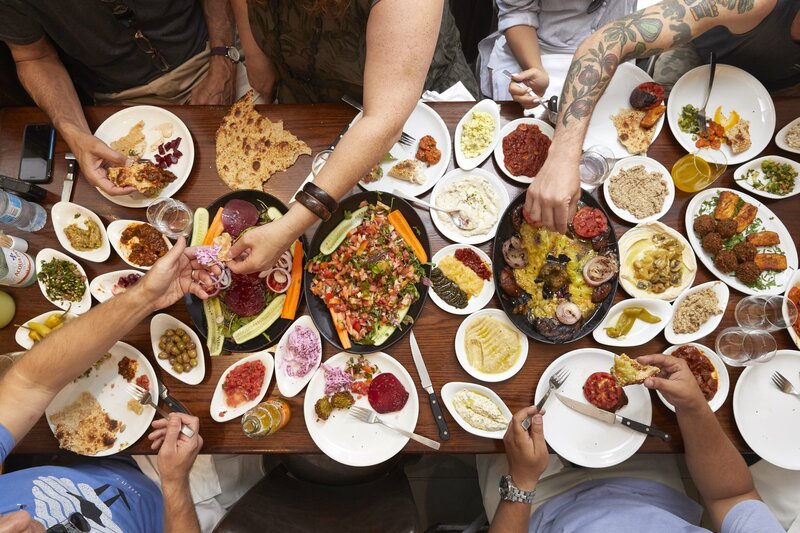 Israel is a living and breathing melting pot of different cuisines that represent cultures. There are just so many of them in such a small place. The convergence of ancient and modern agriculture. Why did you name the book “Israeli Soul”? We wanted to put a name to the electricity you feel walking through the country. What really is soul food in Israel? It’s not just street food. This title excompasses street, table, the home, and the sabbath. We wanted to describe the intricate systems of Israeli culture, conflict, and commonality. The best we know how to sum it up is: Soul. What was your favorite part searching through the country looking for new recipes? I love taking people to Israel for the first time and being part of people’s exploration of the country through food and beyond. After all, everything tastes better there. Our photographer Michael Perseco had experienced this cuisine without ever visiting the country. This adventure was his first time, and he has such a fresh perspective that enabled him to capture images where the food just jump out. I wrap tefillin every morning. My kids go to Jewish day school. We go to shul sometimes but try to keep it real. We visit Israel a lot and say the Shema at night with my kids. 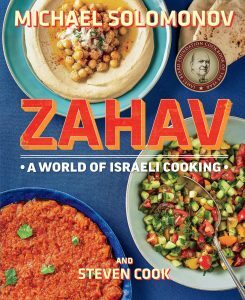 What do you want readers to know about this documentary “In Search of Israeli Cuisine” on Netflix? Only about 20% of the food and places we went made the final edit. We ate so much more. The trip was 3 and half weeks. Now complete the phrase…When the tribe gathers… there better be pastries! Spertus Institute presents this cookbook release celebration in partnership with Read It & Eat.